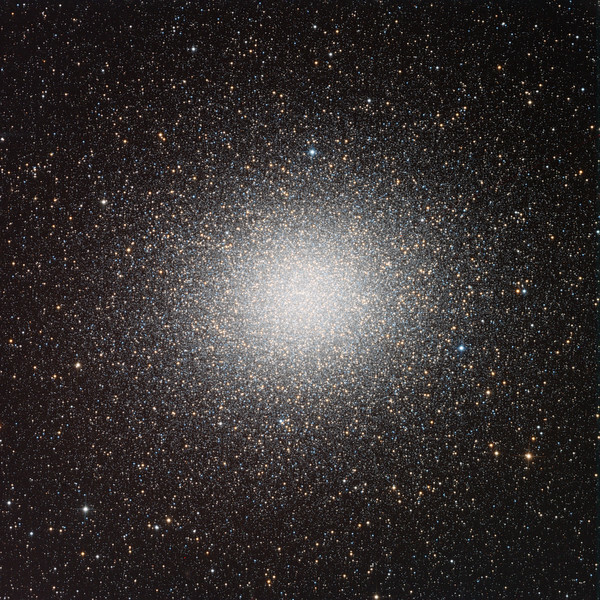 Omega Centauri, the Big One. Our goal here was to come as close as we could to the European Southern Observatory Very Small Telescope publication shot, in terms of resolution and depth (number of faint outer stars), and processing (colour balance and saturation, not burning out the core, but preserving its relationship to the field. The ESO argue that their shot is "possibly the very best portrait of Omega Centauri ever made". We think we've matched them. RGB 8 x 3 minute frames each (72 mins total). Aspen CG16M on 20" PlaneWave.